I haven't read this one yet, though I just received an excellent recommendation from a friend of mine. 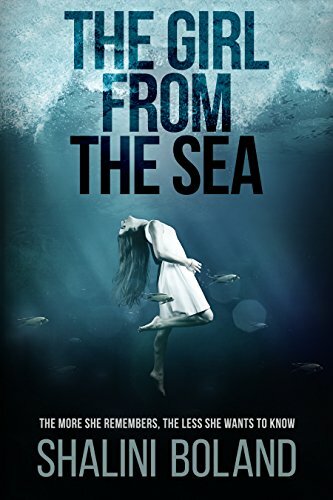 A girl washes up on shore with no memory of how it happened, and it's her experience of amnesia and running into the people who she can no longer recall that bring her back. It's officially on my holds list. Sometimes, you don't want something scary or overtly educational when you're going too and from work. That's when I usually turn to romance novels and traditionally deemed 'beach reads'. This is the latest historical romance novel by Lisa Kleypas (correct me if I'm wrong) and the first one I've read of hers. I was absolutely addicted and read it when I woke up and before bed until it was finished. A marriage of convenience coupled with high passion and great humor, this book couldn't be better. Young author gets a wild advance to write a book that closely parallels the Manson murders. I sat on the waiting list at the library for four months and checked every morning to see what number I currently held. When I finally had the book, I was stuck in my final weeks of college work, but I read the book in every moment of my free time. While it wasn't exactly what I was expecting, it was well-written and eerie. Plus, the cover art is so gorgeous, I want to buy it in hard copy just to keep on my book shelf. I bought this book after reading several poignant articles about interviewing and owning your individuality in the workplace. I would read them avidly, scroll down to the bottom, and see they were excerpts from Romolini's new book. I finally decided I had to read the book and purchased it to read and read again. I haven't regretted it at all, and I know it will come in handy this week without a doubt. Gillian Flynn wrote spine chilling Gone Girl, in case you've been living under a rock lately, and this short story is a quick, fun way to transport you out of current life and into a spooky read . I devoured this in one sitting, and while the ending was kind of predicatable, the fact that it was a short story made it like watching a movie. If you need a self-confidence booster, no one does it better than white-hat wearing, gladiator, Shonda Rhimes. This book, from the first page of quotes (where she quotes her own script, aka being a badass), is inspirational in a nontraditional-inspiration-script way. She talks about her experiences being a total boss, how she's managed it all, and how her world changed by saying yes more. +What did you think of these seven books for commuting to work? Have you read any of them?